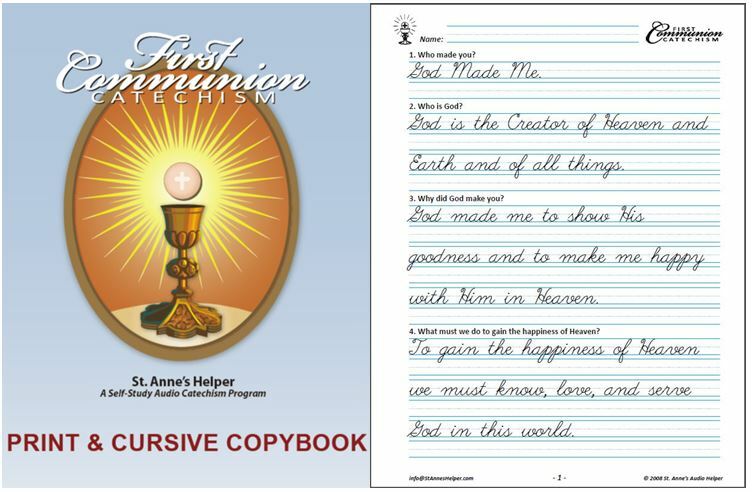 Catholic Lent activities for children are printable classics. 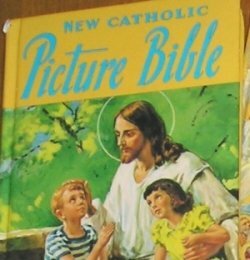 Tell the story of Lent using a Bible like a picture book. 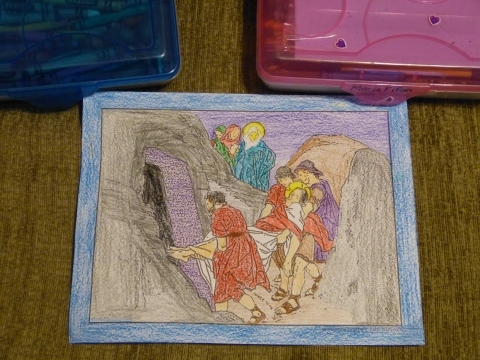 When Lent is coming I love to have Catholic Lent activities help teach our children the sorrows of Jesus and Mary. Lent is the most solemn, or maybe I should say somber, time during the Catholic liturgical year. There's no story that helps little ones feel sorry for Jesus and for their own sins than the story of Lent and Holy Week. 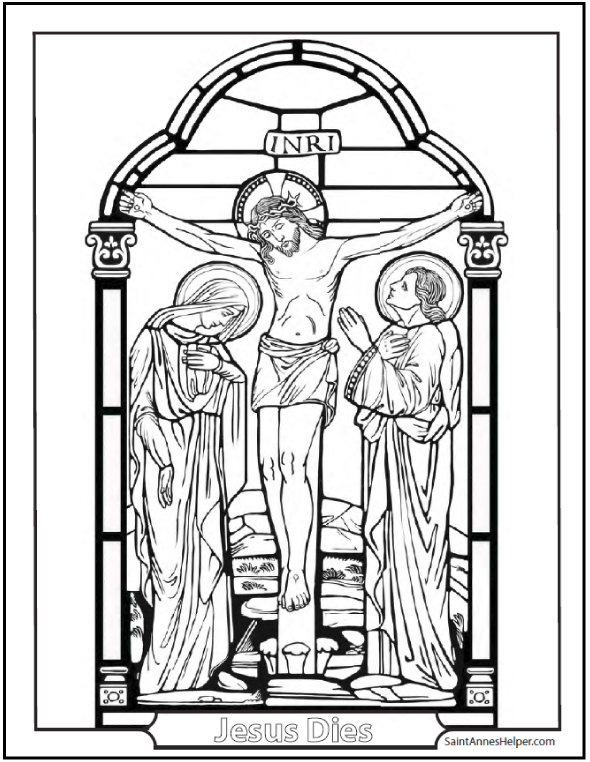 Good Friday - Remember the Three Hours devotion, Tres Ore, noon to 3 pm. 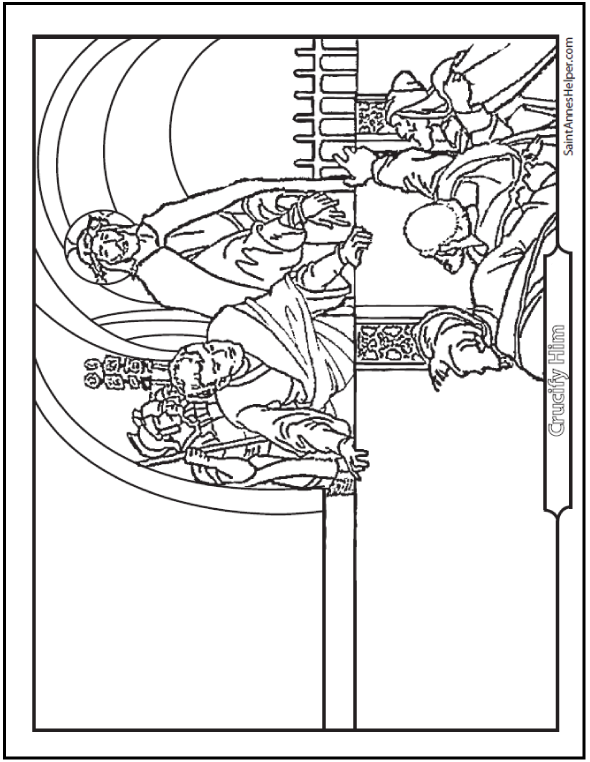 Catholic Lent coloring pages - 5.5x8.5 booklet and individual 8.5x11 PDFs. 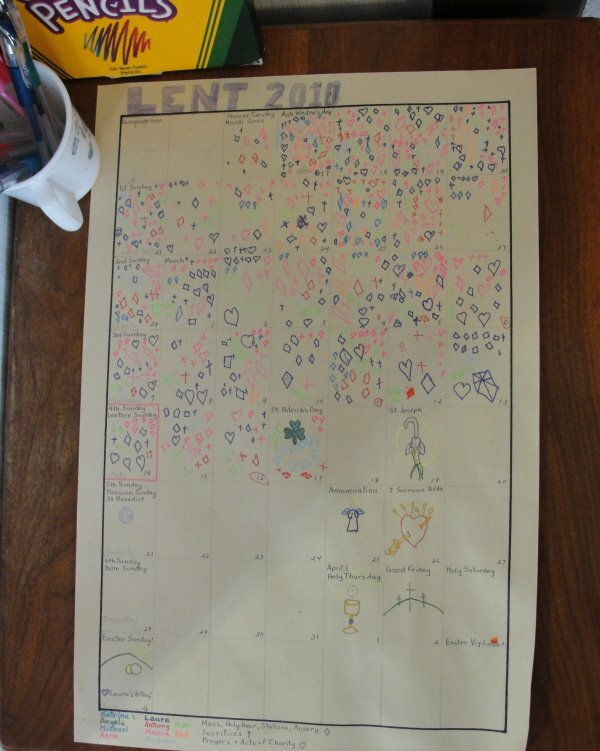 Lent calendar sacrifice chart - our favorite and easy with little ones. Jesus' Crown Of Thorns - poky toothpicks really did hurt. 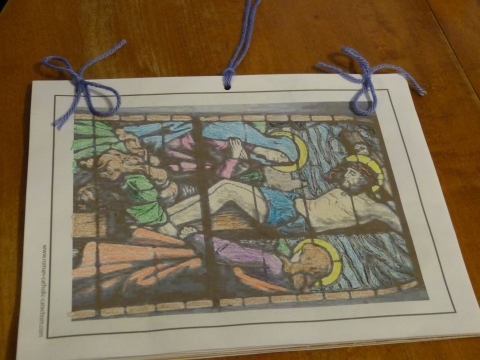 Lenten Liturgy - for older children and will last a lifetime. Lent means more when we not only teach the Lenten story of Our Lord's Passion and Death, but also include prayers and sacrifices. You can print our coloring pages below straight from the screen without downloading them, or you can download them for later use in your own files. 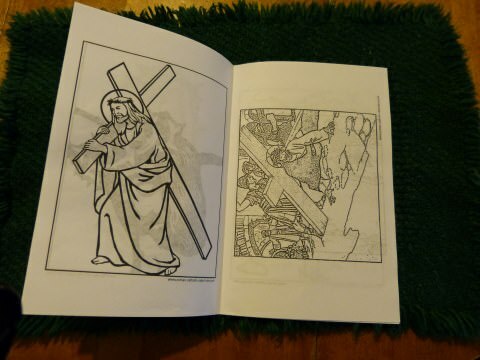 We also have them as all one booklet for little ones to use throughout Lent in our Catholic Lent coloring book. 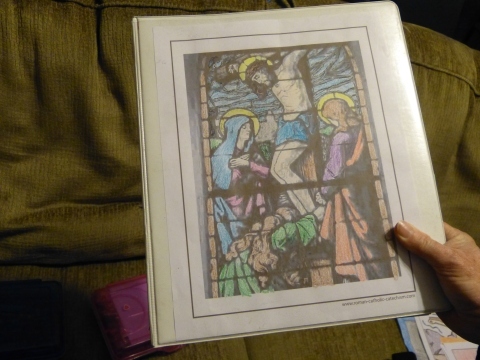 It doesn't have images for each Station, but the pictures can be very useful for learning about the Passion and Death of Jesus in a nice way. It can be printed large or, if you'd like, it can be printed as a smaller booklet using the booklet setting on your computer. 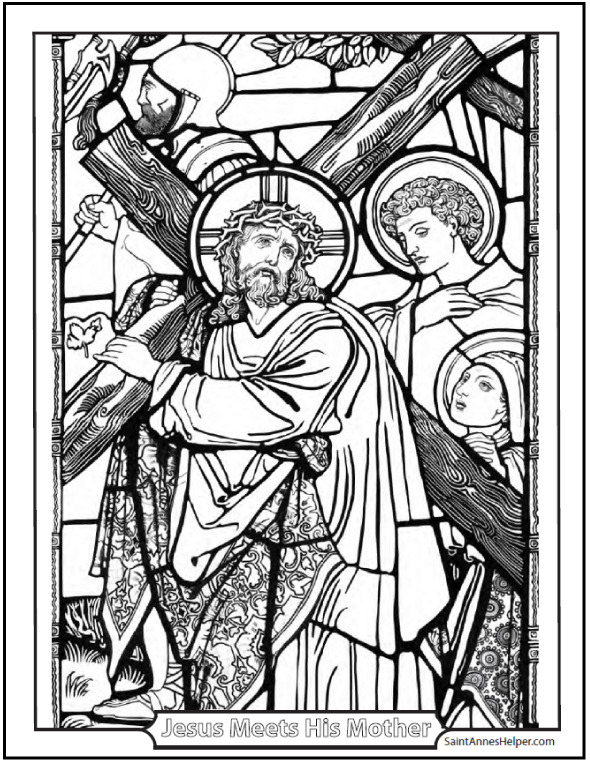 See and download our Lent coloring book here. Print these as 8.5x11 for a binder or sheet protectors or use your printer's booklet setting to make them into a booklet. 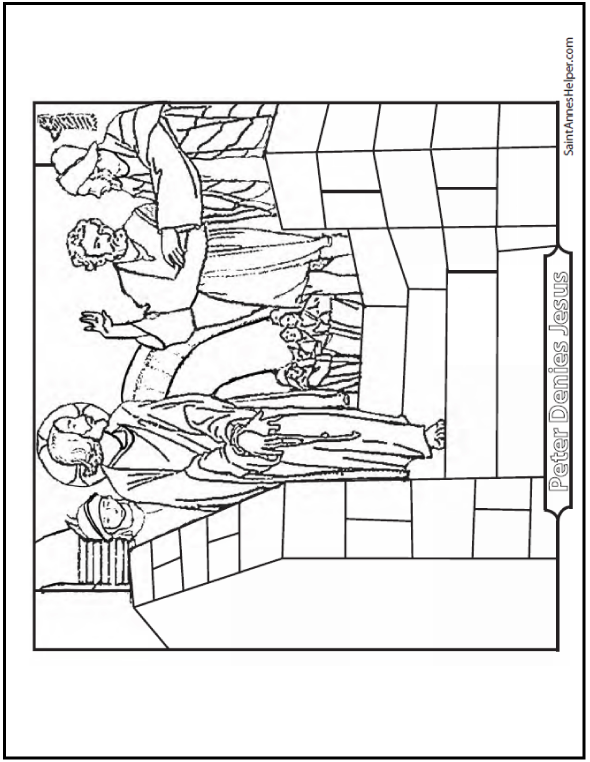 Lenten Coloring Pictures - Larger versions below. 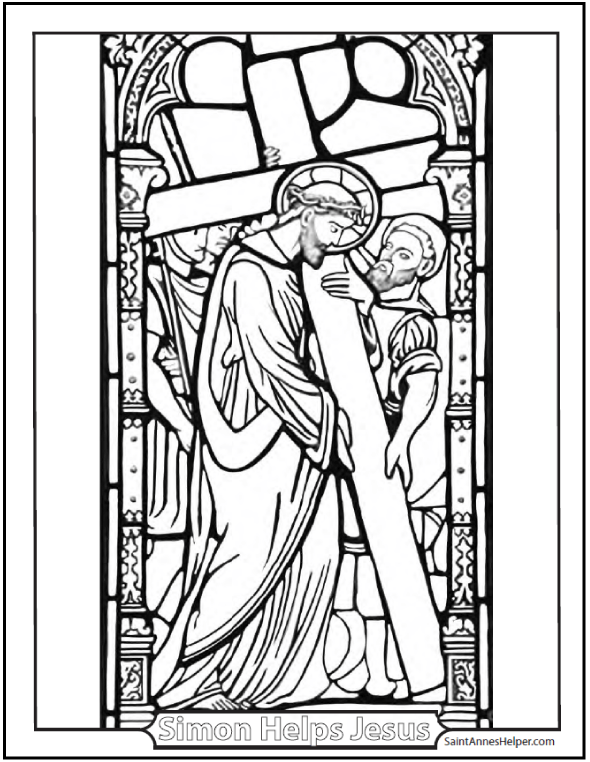 Lenten Coloring Booklet - Click here to print twelve pages. 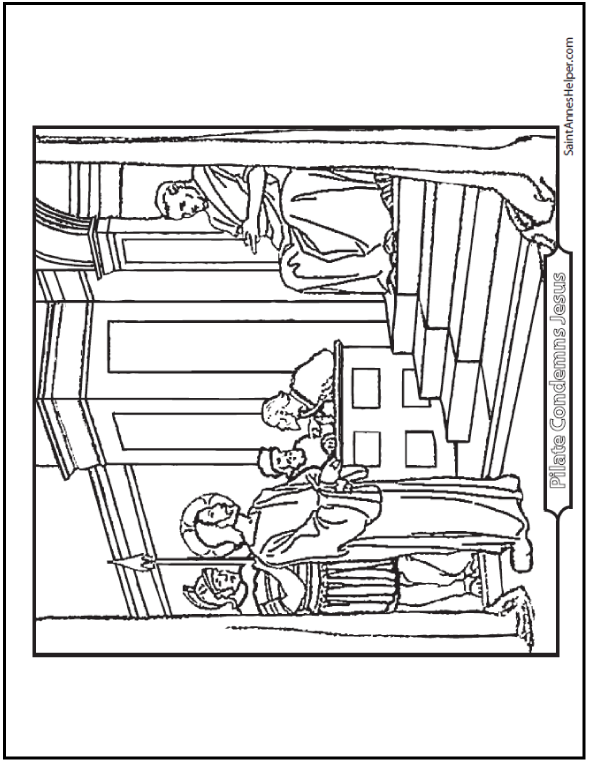 See and download Catholic Lent Coloring Booklet - about 12 pages. See "What is Lent?" for a longer explanation. This page is for Ash Wednesday and Catholic Lent activities, can help teach the story of Lent.You can "save picture as" with the small images to our links any time that you Lent clip art for the Sorrowful Mysteries, Ash Wednesday, and Lent. 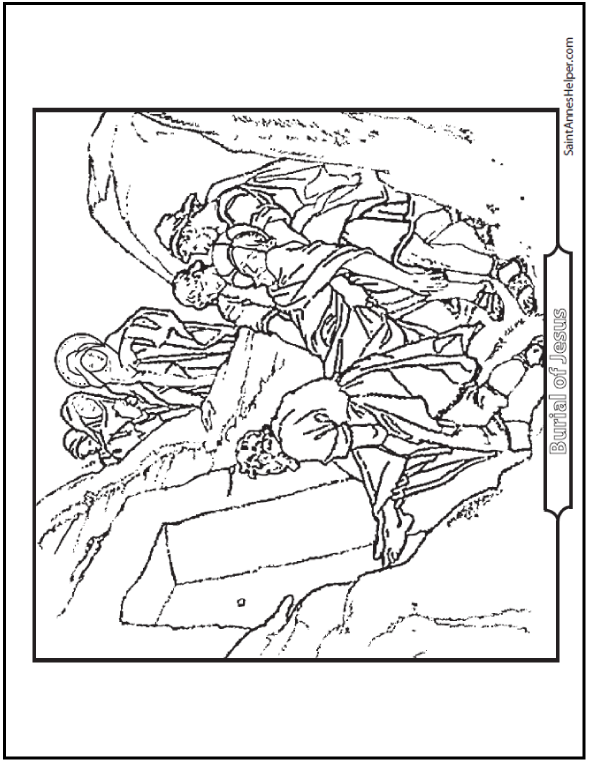 Agony in the Garden coloring sheets. Can You Not Watch With Me One Hour? Jesus Before Pilate Are You A King? 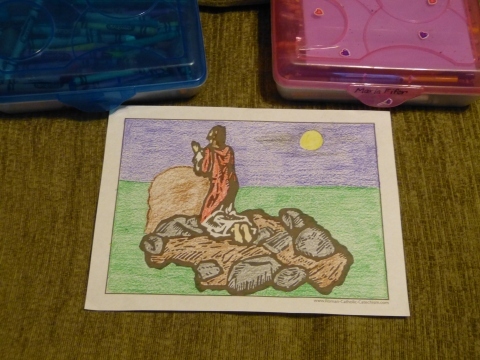 Holy Thursday - Sorrowful Mysteries Rosary coloring pictures. 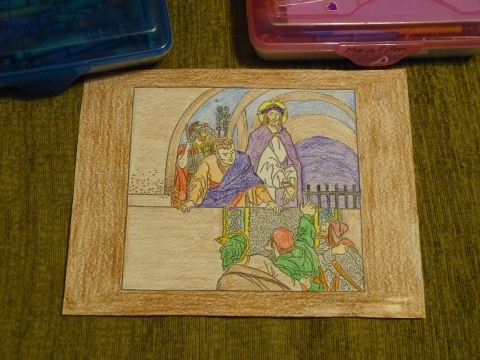 Last Supper Picture to color. 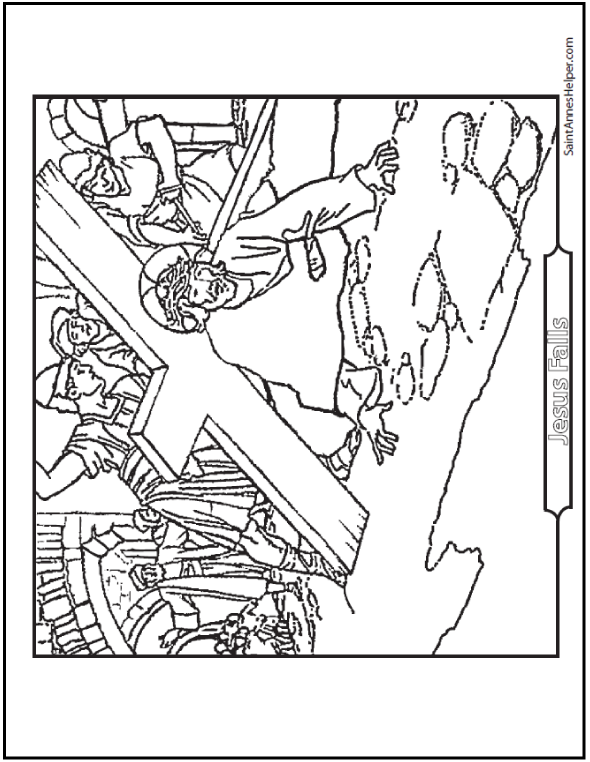 As I was building the pages for these coloring pages, I was looking at our printable Stations booklet and realized for the first time that Jesus fell twice after Simon was helping Him. 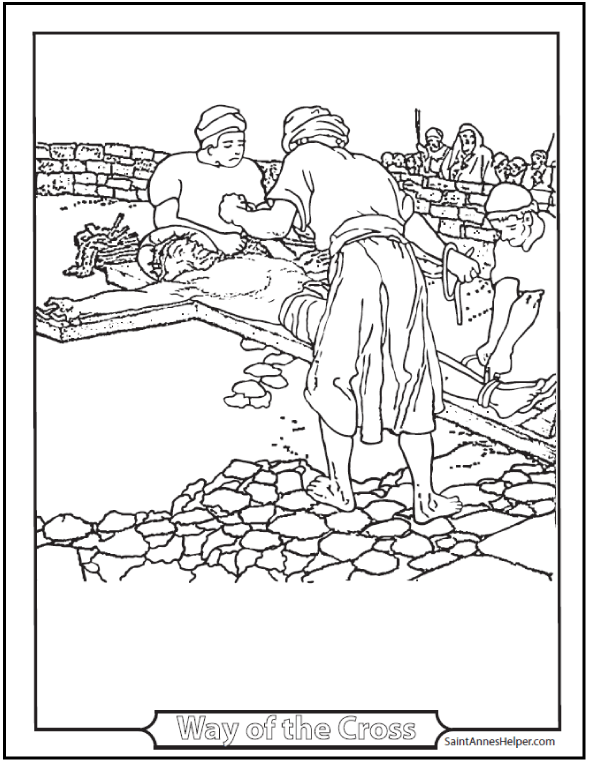 Jesus falls at the Third, Seventh and Ninth Stations. Simon of Cyrene helps Him at the Fifth Station. How sorrowful! It's hard to watch a child fall, how much worse for an adult! Three times. On stones. I am so sorry for Jesus! 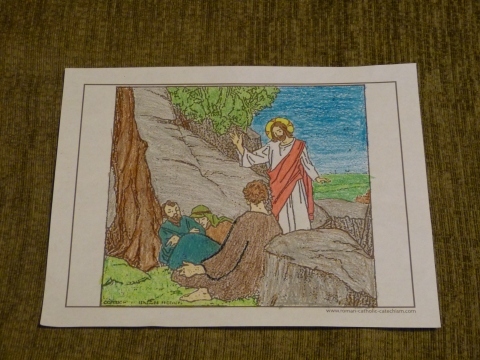 More Good Friday coloring pictures. 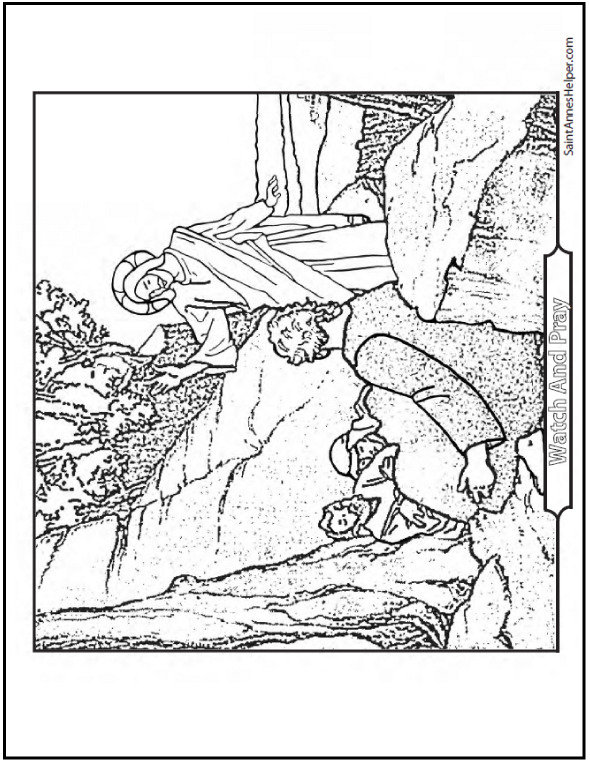 Fourth Sorrowful Mystery: Rosary coloring sheets. 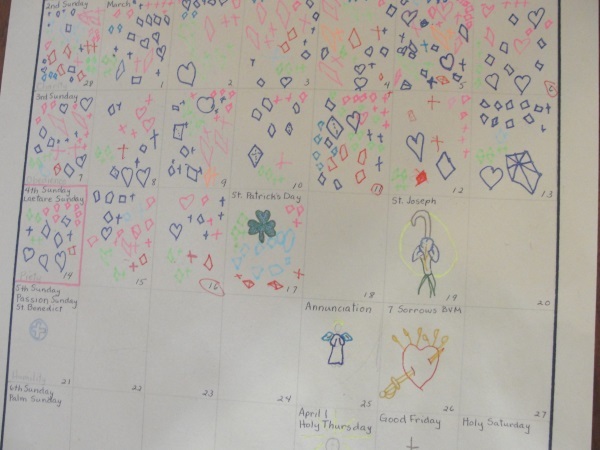 More Fifth Sorrowful Mystery: Rosary coloring sheets. 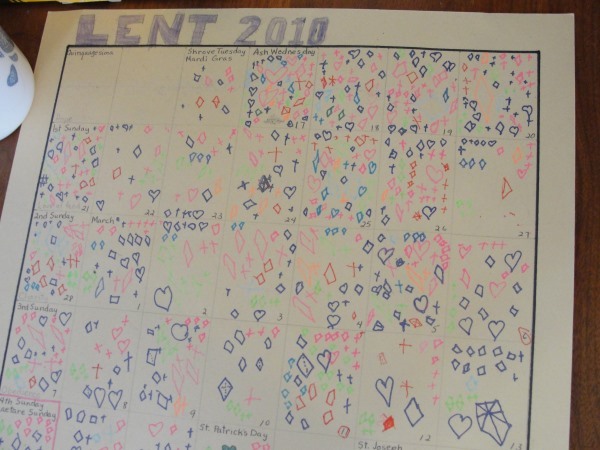 You can make a Catholic Lent calendar with a chart that shows your family's devotions and sacrifices through the forty days. 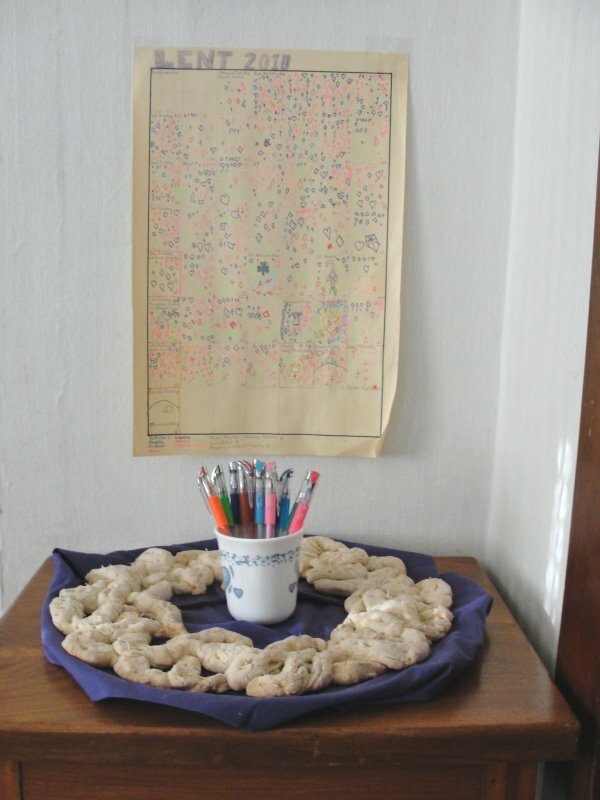 We treasure our Lent charts through the years. 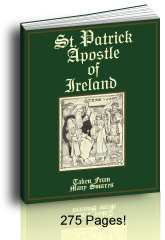 St. Patrick, March 17: Shamrock - Three Persons in God. Lent has its own special days. I frame Laetare Sunday in a rose color, put a symbol for the Sorrowful Heart of Mary feast day on the Friday before Good Friday, a Eucharist symbol on Holy Thursday, and the three crosses on the hill for Good Friday. Easter Sunday gets the open tomb and a bright sunrise. Shrove Tuesday and Ash Wednesday are first here. When we made a Crown of Thorns for Jesus we learned a couple of lessons. This was a large project when I had little ones and the toothpick thorns could hurt like real thorns! Once our children knew the story of Jesus' Passion and Death, they dearly loved to remove thorns from his Crown and rejoiced when they removed the last one. Once the thorns are gone they can add paper flowers to soften His Crown and to prepare and decorate for Easter on Holy Saturday. This particular year we had to use pliers to remove the thorns. Well, this was another lesson that gave an idea how hard it can be to remove sin from our lives. 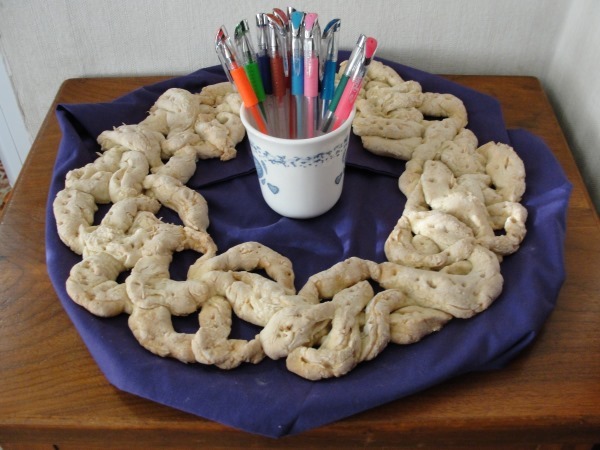 Knead the dough and add flour if needed to make two or three strips of dough. Are you taking turns? Well, the next child can twist these into a crown, two children can help if you divide the strips in half. 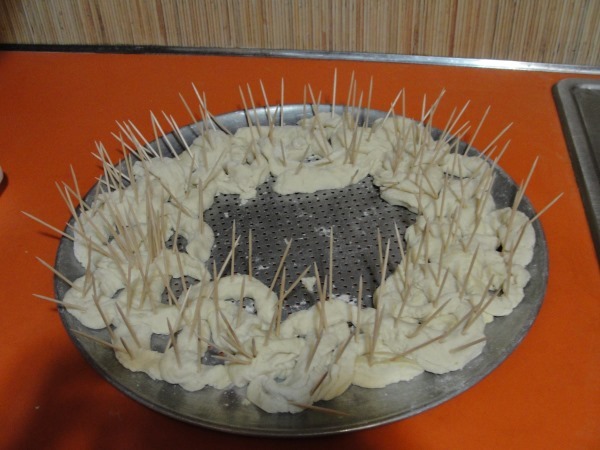 Let the smaller children put the tooth picks into the dough before baking. 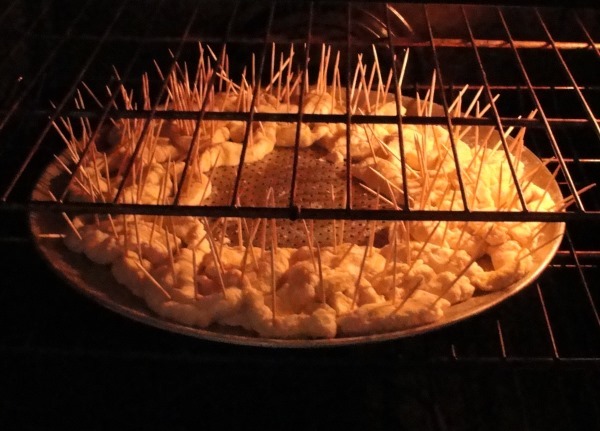 The more children you have the more toothpicks you can use. Bake at 350 30 to 60 minutes. Aim to remove all of Jesus' thorns with our prayers and sacrifices. In a way, this should have been first. I treasure the hours sitting on the couch with our little ones reading the Stations together. 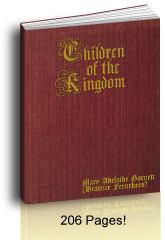 There were so many times when they were little, or we had a newborn and I could not get to the Stations at church, that we simply bought the booklets and read them at home. They love singing the Stabat Mater. I am so glad of this. If they were too buggy or sleepy we would simply announce the picture, sing the verse from the Stabat, and say an Our Father or a Hail Mary. 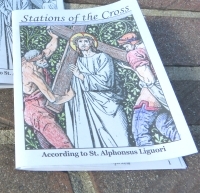 Print St. Alphonsus Liguori's Way of the Cross for praying and for coloring (each copy makes two booklets). 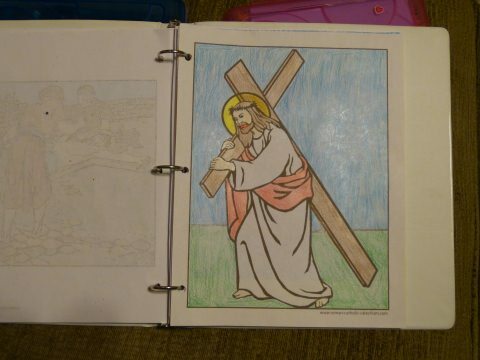 Our children love to color these pictures and I think that that makes their book and their prayers more dear to them. Septuagesima is the beginning of Lent, the penitential season according to the Catholic calendar. "Septuagesima is followed by Sexagesima and Quinquagesima; this last is the Sunday next before Ash Wednesday on which Lent begins. Lent has six Sundays: the two last of these are respectively, Passion Sunday and Palm Sunday. The week beginning with Palm Sunday, that in which Our Lord was betrayed and crucified, is known as Holy Week." (Fr. Lasance Missal, p. 1622) The main events of Jesus' Passion happened after the Last Supper on Holy Thursday and Good Friday. 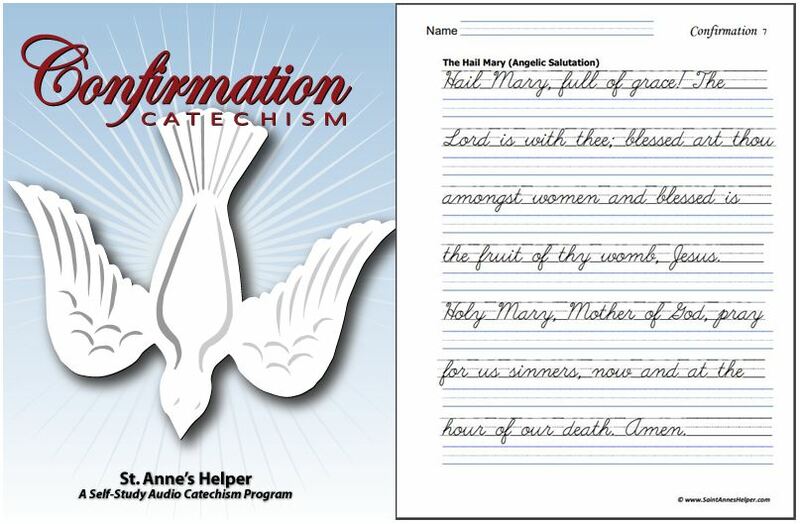 The Bible tells the story about the Resurrection of Jesus and the Missal puts it into daily segments for us. The Epistle for Easter Sunday gives prophecies from the Old Testament paired with the fulfillment stories in the New Testament. If you've been following the Liturgy in Lent, it's good to say: Rejoice! Alleluia! The most important event on Easter Sunday is the Most Holy Sacrifice of the Mass. The Easter Vigil has its own Mass on Holy Saturday. It has a beautiful ceremony all its own which begins with blessing the fire that will light the Easter candle (Paschal candle) which will not be extinguished until immediately after the Gospel on Ascension Thursday (really fun for the children to watch). The Easter Sunday Mass for the day is surprisingly short compared to the long Masses during the season of Lent. The readings are short and to the point. 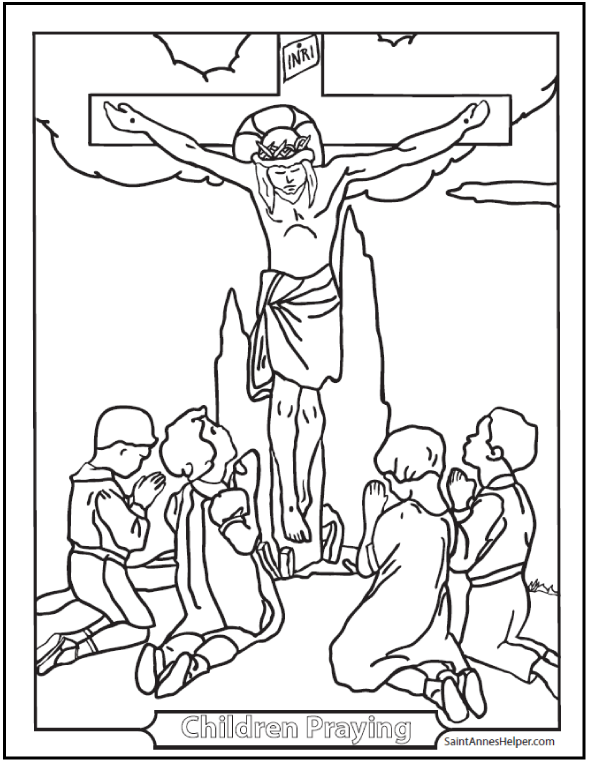 See some glorious Easter coloring pages here. 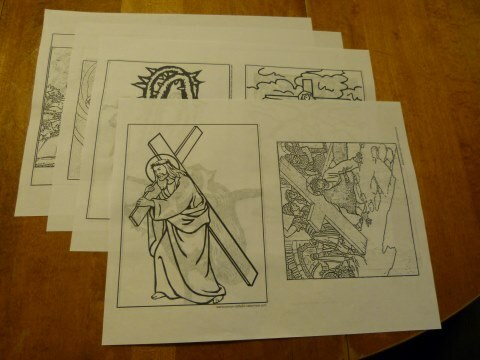 Printable Stations Booklet - Prayers for Lent and printable coloring pages. 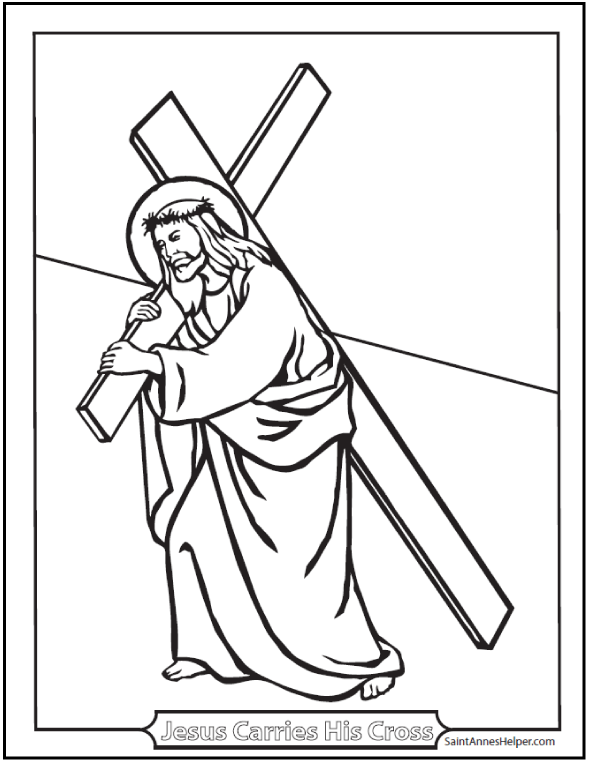 Sorrowful Mysteries coloring pages - Holy Thursday and Good Friday. 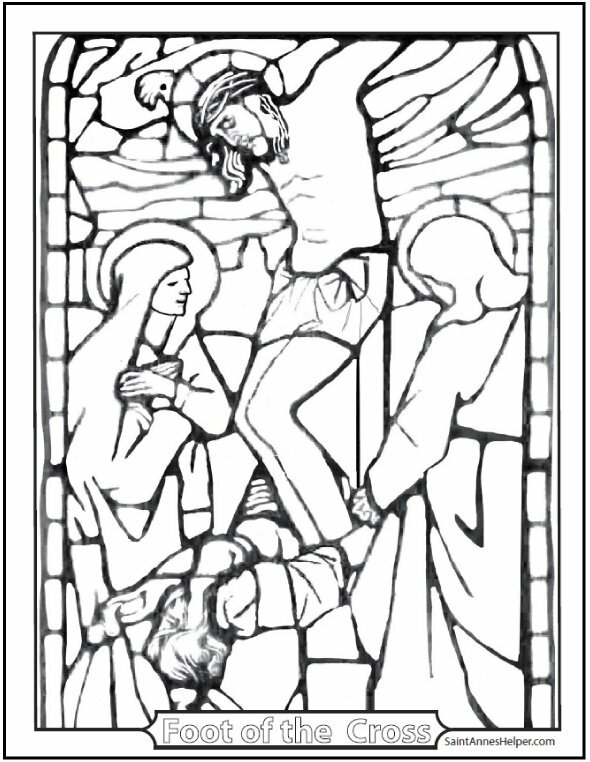 Good Friday - Remember the Three Hours devotion at noon. Thank you for visiting our Catholic Lent activities page. Let's pray that we all have a holy Lent and a glorious Easter. 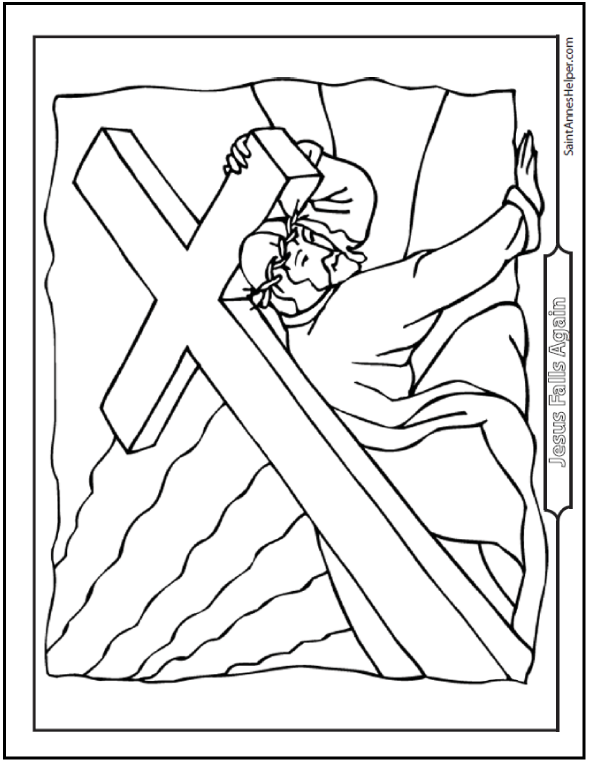 Catholic Lent activities for children and Lent coloring pages.